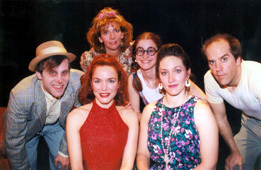 The Outrageous Fortune Company, a Queens-based regional theatre company, was founded in 1993 by Ronald B. Hellman, a Douglaston attorney and long-time local theatre actor. Dedicated to producing contemporary plays of significance, the company has presented 50 plays to date. Outrageous Fortune's 17th season was its last at Queens Theatre in the Park. The season opened in November 2009 with Dead Mans Cell Phone, by Sarah Ruhl, followed by Spalding Gray: Stories Left to Tell, conceived by Kathleen Russo, and The Blue Room, adapted by David Hare. 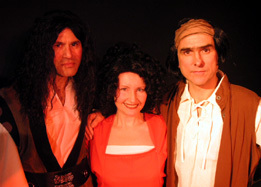 Top actors and directors contribute their talents to the company, attracted by the companys professional reputation and its outstanding play selection. The plays are often fresh from Off-Broadway, as well as Broadway itself, have earned good reviews and long runs, but are seldom available this side of the East River. Producer Hellman dedicates the company to the memory of his late parents, Bill and Leonore Hellman, who were avid theatregoers. A life-long Queens resident, Hellman is a graduate of Newtown High School, Columbia College and Columbia Law School. He is married to the artist Lois Hellman, and has a daughter and son who live and work in Manhattan. Major contemporary playwrights are well represented among the productions of the last 17 years, including Shining City (Conor McPherson); Spinning Into Butter (Rebecca Gilman); Anna in the Tropics (Nilo Cruz); Buried Child (Sam Shepard); Side Man (Warren Leight); The Cripple of Inishmaan (Martin McDonough); Joe Turners Come and Gone (August Wilson); Arcadia (Tom Stoppard); How I Learned to Drive (Paula Vogel); The Miss Firecracker Contest (Beth Henley); Betrayal ( Harold Pinter); Sylvia (A.R. Gurney); The Food Chain (Nicky Silver); Dancing at Lughnasa ( Brian Friel); and Frankie and Johnny in the Clair de Lune (Terrence McNally). Playwrights Jerry Sterner (Other Peoples Money), Austin Pendleton (Orsons Shadow), and David Henry Hwang (Yellow Face) have attended OFC productions of their work, and other celebrities often show up. The company has performed at Queens Theatre in the Park, Flushing Town Hall and at Landmark on Main in Port Washington. Other venues are open for consideration. We have brought you the excitement and pleasure of live theatre, of a caliber that stays with you long after the final curtain has fallen. Hopefully well be back soon. Call our office at 718-428-2500 for more information.